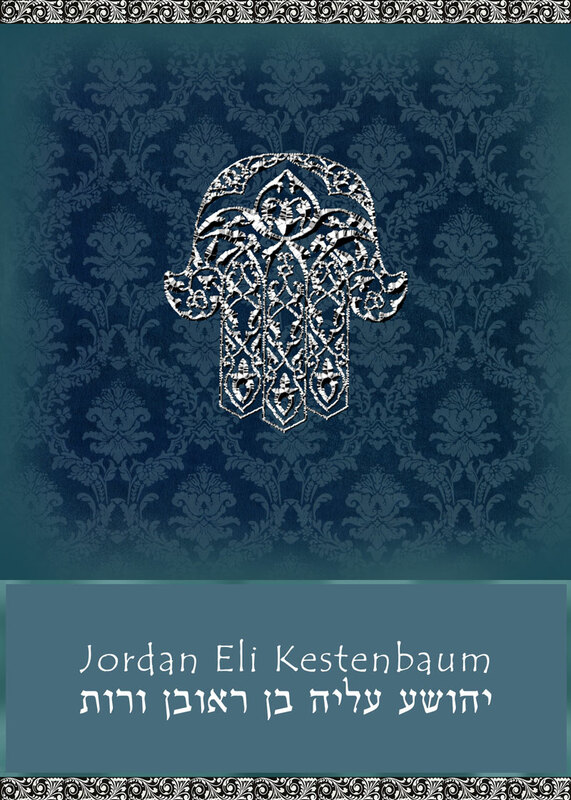 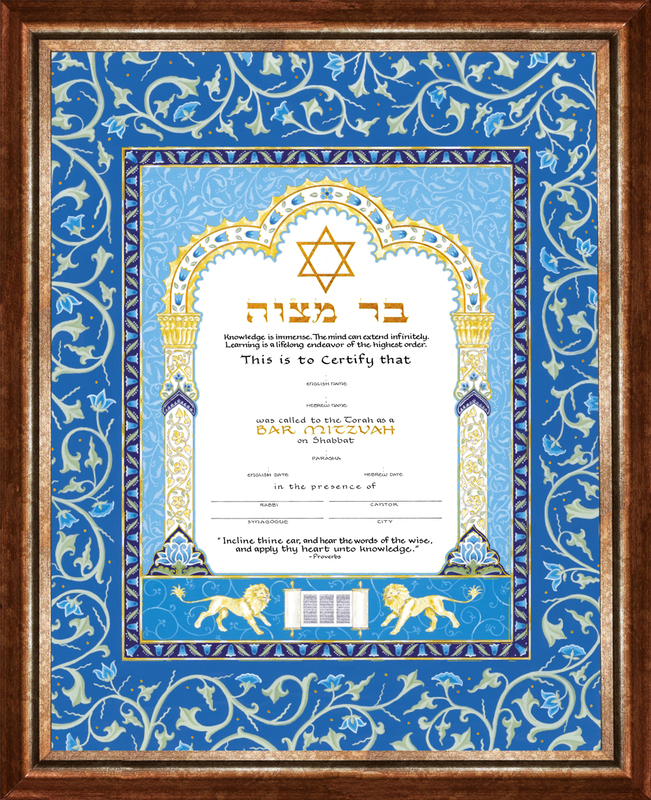 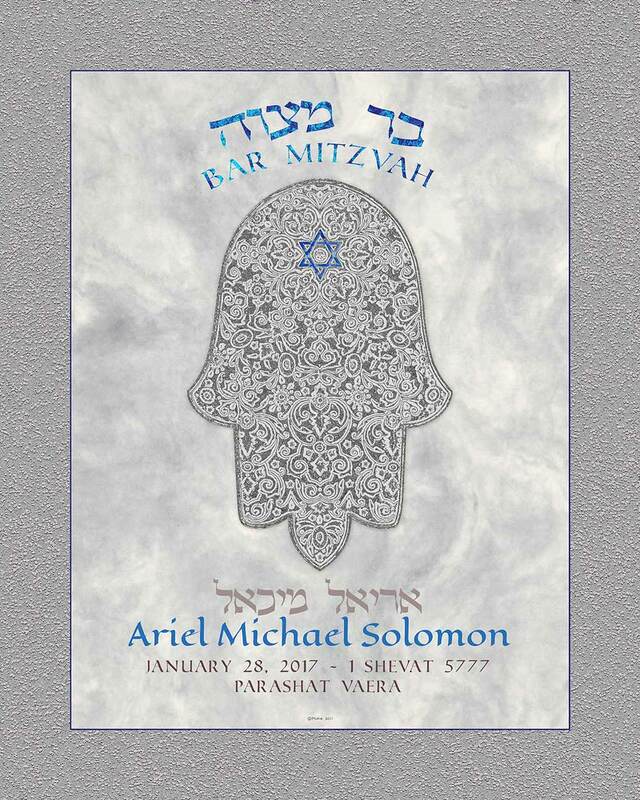 The Personalized Bar Mitzvah Hamsa Gift is a beautiful piece of art. 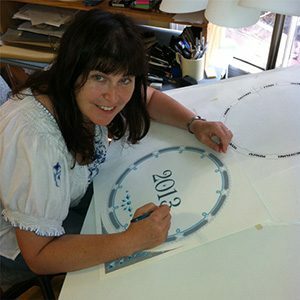 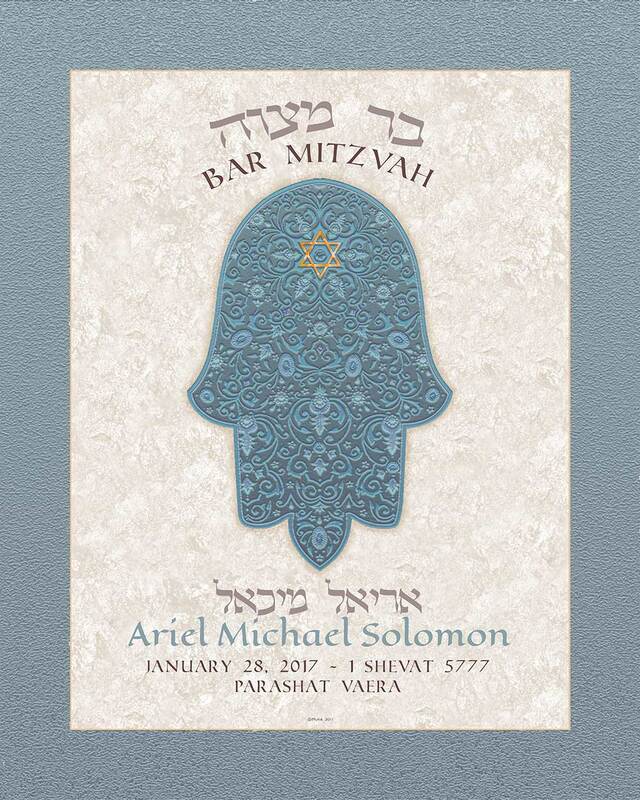 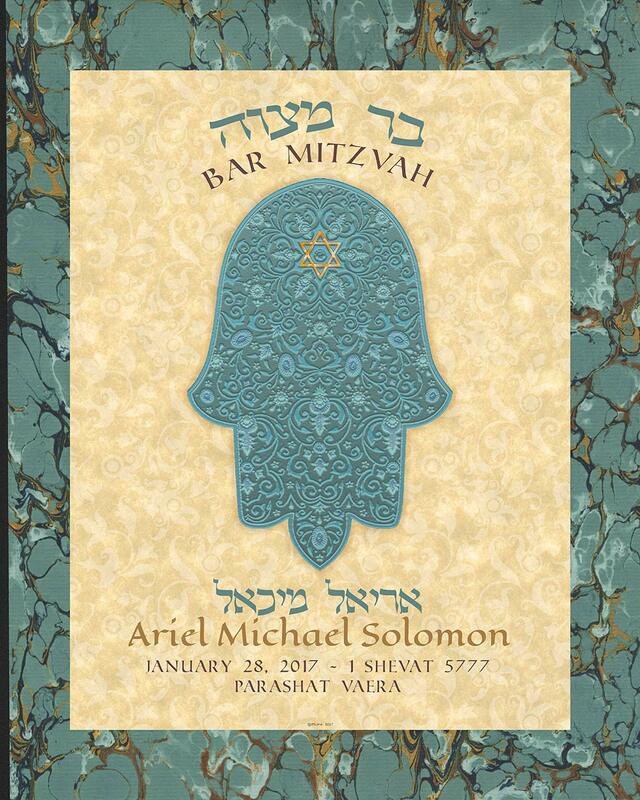 It is a lovely and unique tribute that celebrates the Bar Mitzvah of a young man on the cusp of adulthood. 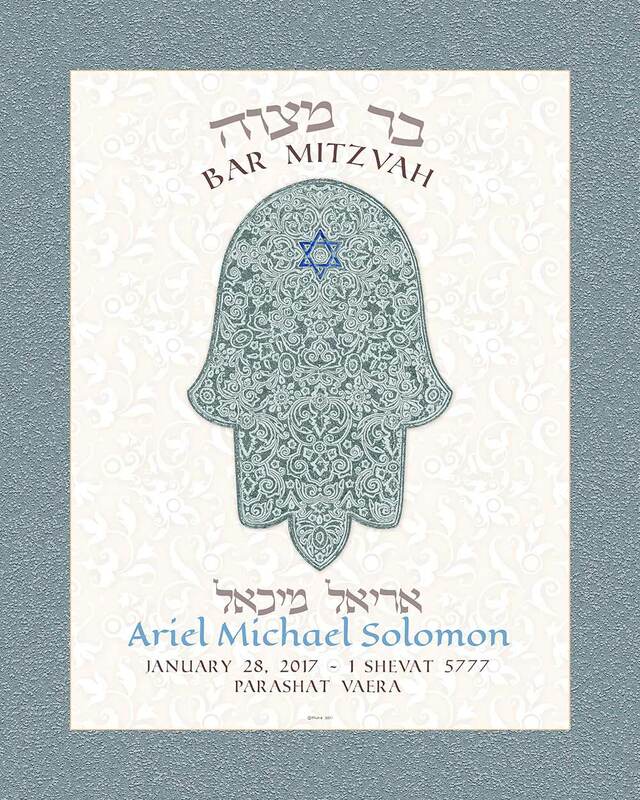 It commemorates the date and Torah portion of the Bar Mitzvah. 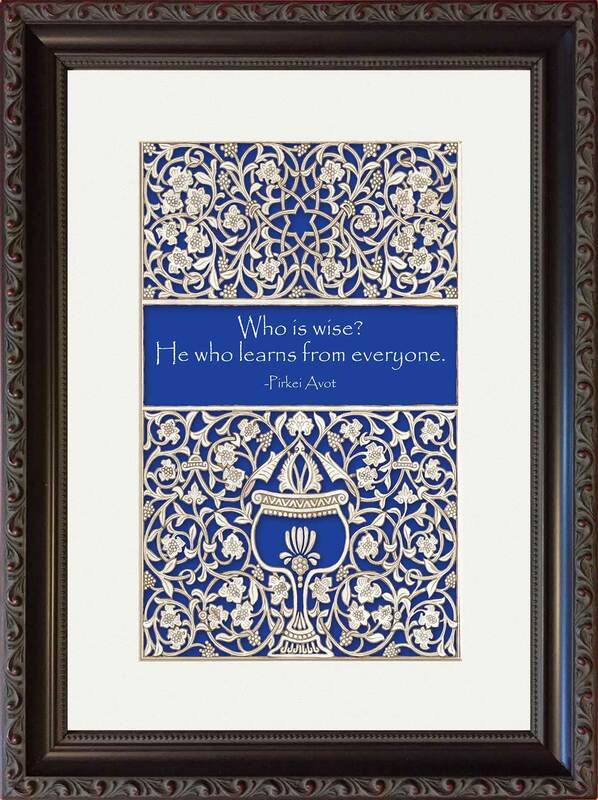 It is a wonderful gift, and a superb memory for the entire family to treasure for many years to come. 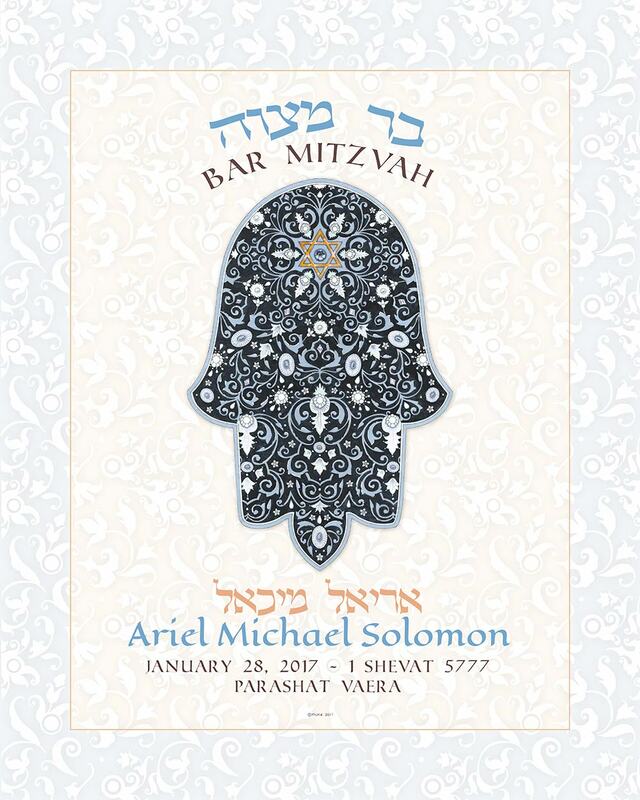 Perfect for a friend’s or relative’s Bar Mitzvah, or just as a gift for your own son or grandson!